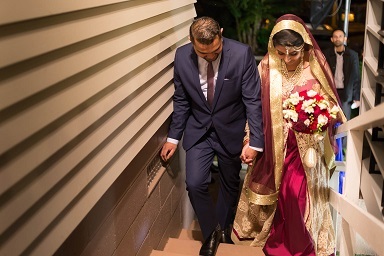 I'll be thrilled to be invited to take photos of your whole wedding and I'm happy to offer you an introductory package that will appropriately cover the mehndi night, couple shots and ceremony including processing of the resulting images. This package will give you the best coverage of your special day for you to cherish. The photos will be delivered to you via Dropbox for you to download/print/share as you please. Wedding reception (assuming that it follows the ceremony).